Aside from the fact that he gets some of the specifics wrong (many authors don’t reread their previous work), he gets the plot point wrong. He doesn’t correctly remember the novel. Yes, Joe Sheer (the titular jugger, a professional safecracker) contacts Parker and asks for help but Parker travels to Sagamore, Nebraska to protect his own interests. Joe contacted Parker on two occasions. Once, to let him know he’s in trouble and that he’ll take care of it and a second time to let Parker know that he can’t deal with the trouble and he need’s Parker’s help. Parker’s used Joe as a middle man for people who needed to contact Parker. They would go through Joe and Joe would then go to Parker to relay the message. The trouble is that Joe knows of Parker’s cover up name and the life he fabricated for that name. The mixed message of Joe’s letters indicates to Parker that the man is too old and he’s starting to lose his professional edge. He visits Sagamore with the intent to keep his identity a secret and to kills Joe if he had to. The last thing Parker needs is to have someone running around babbling about Charles Willis, Parker’s cover identity. The book has other weaknesses. Captain Younger, chief of police in Sagamore, is a very annoying character. He’s moronic in every possible way but he’s still intelligent enough to successfully intimidate a seasoned professional like Joe Sheer. Parker also does more than a couple silly things in the novel and he doesn’t tie up his loose ends as effectively and cleanly as he normally does. The plotting is also weird. Like many Parker novels, the action starts in media res but thinks are actually a bit confusing for a few chapters, as if the book started with chapter 2. All the details are there if you pay attention but I admit I had to go back a couple of pages to figure out who and where Captain Younger first appeared in the book. Everything made sense in the third part of the book when the story shifted to Younger’s perspective but for half the novel, you’re just going along trying to put the pieces together, just like Parker. The book is the weakest Parker novel so far but the problems are all in the plotting. 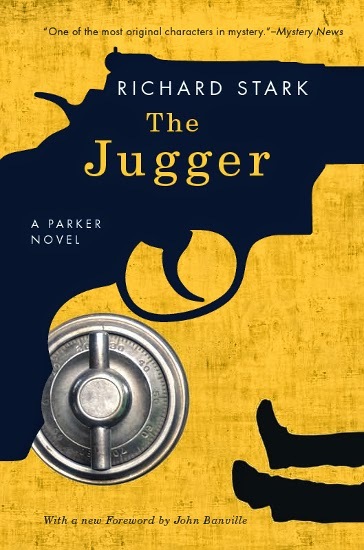 Besides the minor complaint I have with the beginning of the novel being confusing (it’s a minor complaint because everything works out in the end), The Jugger is still much better and more interesting to read than many other novels out there. For starters, Stark’s prose is a gripping as ever. Though the plotting is messed up, the pacing isn’t. Everything flows with such a fascinating cadence that you just can’t leave the book down. It’s a bad book written by a great writer. Off the top of my head, I can’t think of a novel whose protagonist so closely resembles the style of prose used for the novel in which the character appears. It’s calculating but effective. Like Parker, Stark only does what needs to be done. His prose is economical without being lacking. The fact that The Jugger isn’t well plotted allowed me to regain focus on the rest of what makes the Parker series so good. Namely, the characters and how effortlessly Stark can write them. The third section of the novel, the section in which the perspective usually shifts, Stark builds the character of Captain Younger. It’s stunning how such a throwaway character can be given such depth. In just a few chapters, Stark turned Younger into one of the more complex (albeit annoying) characters in a novel of complex characters. It shouldn’t be possible that such a simple style can create characters with such depth but being a master of the genre, and really just a strong writer, Stark makes it all look easy while also making it captivating. The book ends with an additional switch in perspective and it leaves some of what Parker fixed during The Jugger unravelling. It’s nice to be reminded that Parker is no infallible. He’s failed before but the reminder is appreciated. It’s frustrating that he has another problem to fix but it’s a problem he’s handled before and he knows how to get out of it. In a way, I’m glad the book isn’t as awful as Stark remembers but at the same time, I’m glad that he remembers it that way. It’s likely had an impact on him and he thought about other Parker books and it’s likely improved them. This is just speculation though. It’s important to remember that I’ve only read one Parker novel published after The Jugger, and its several more books down the line. 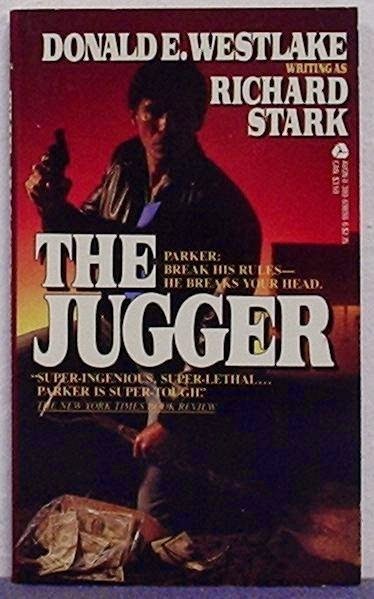 Still, it was interesting to see that despite its flaws The Jugger proves that you can’t go wrong reading the Parker series by Stark.